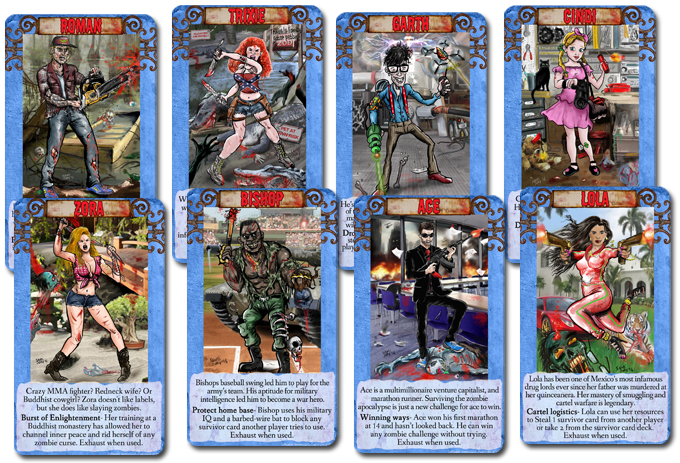 Do you have what it takes to Survive the Horde? Survive The Horde is a 2-8 player Party game for players 17 and up the plays in about 20-30 minutes. 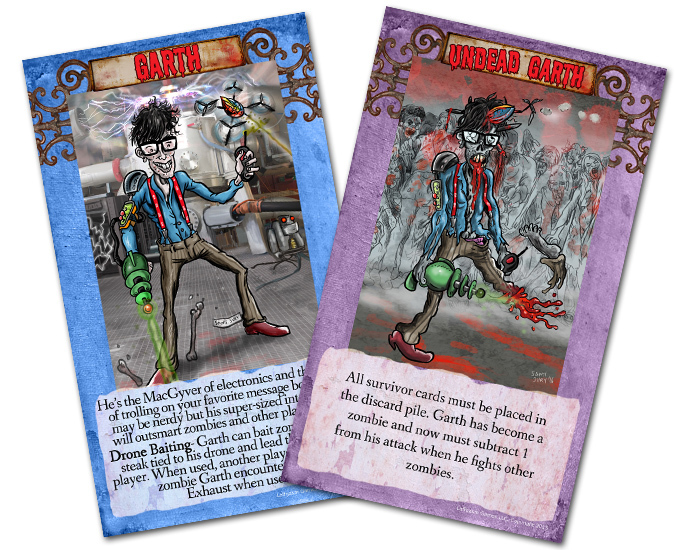 In this humorous apocalyptic world you are faced with the challenge of being the last remaining player that has not become a zombie. 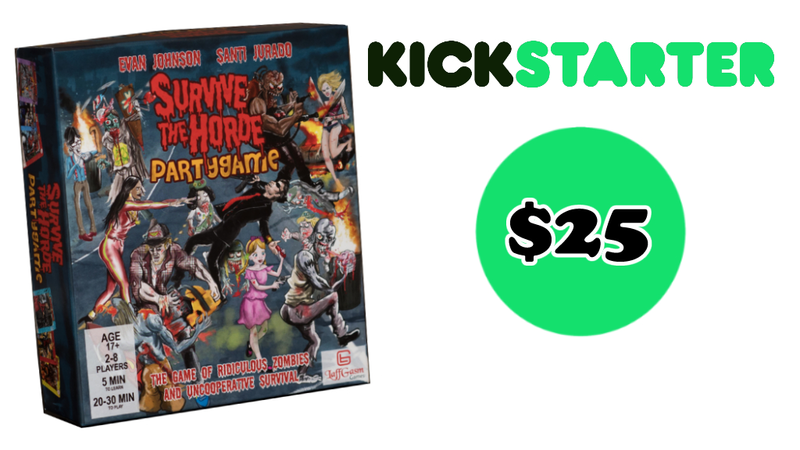 This isn’t your typical zombie scenario, the zombies are ridiculously goofy and your resources to defeat them are less than Ideal. You will select 1 of 8 characters, each with a unique player power. You will fight zombies, face their challenges, and even be cursed by them. Challenges and curses often result in hilarious situations with other players. 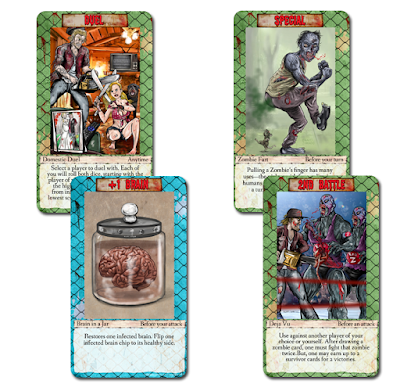 To defeat zombies and other players you will use Survivor cards to make it harder on the other players at the table or help yourself to defeat zombies. 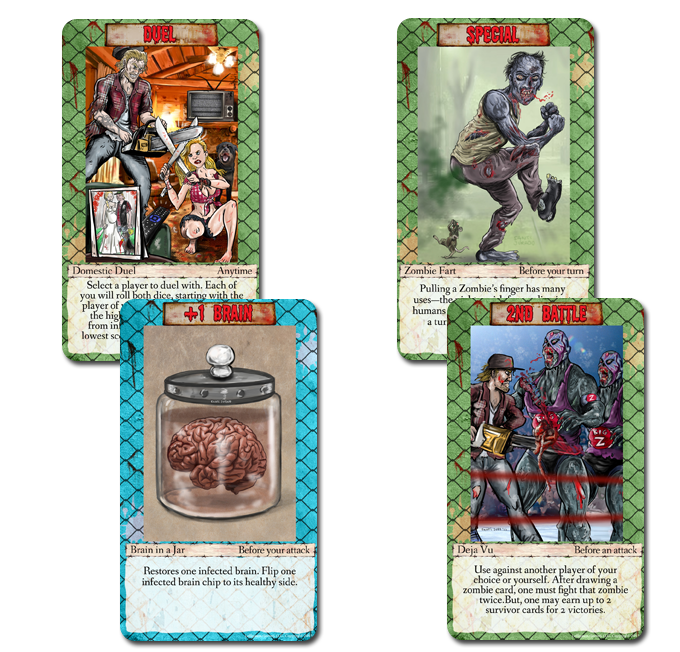 When you lose a battle or zombie challenge you will have to flip one of your brain Chips to it’s undead side, when they are all on their undead side you are now a zombie and will get to continue to play while you try to stage a comeback. 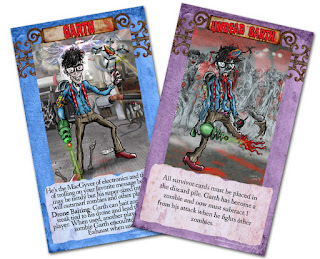 When there is only one remaining player that is undead they are declared the winner. With 92 different zombies to encounter and a tons of funny challenges Survive the horde is a colorful and competitive approach the party game genre. 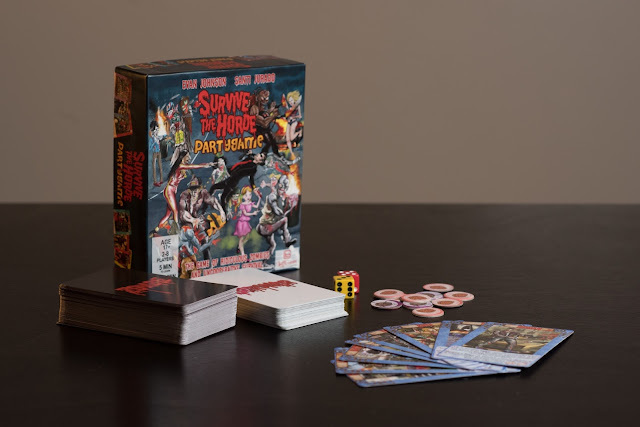 Designed by Evan Johnson and illustrated by Santi Jurado, Survive The Horde Party Game is now on Kickstarter and the campaign with run until the 22nd of November.